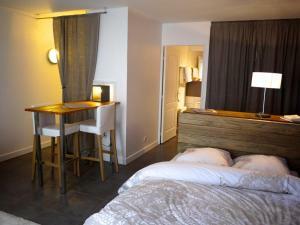 A-HOTEL.com - Luxury and cheap accommodation in Saint-Rémy-lès-Chevreuse, France. Prices and hotel, apartment booking in Saint-Rémy-lès-Chevreuse and surrounding. This indicative offer was derived from the most recently booked accommodation in Saint-Rémy-lès-Chevreuse and sort by the price, from cheapest Saint-Rémy-lès-Chevreuse accommodation to the most expensive hotels. To select accommodation by your preferences we recommend to choose from 1 accommodation offers in Saint-Rémy-lès-Chevreuse in total. By entering the dates of your overnight stay in Saint-Rémy-lès-Chevreuse and using the filter tools you can sort the best possible accommodation for you. The entered dates of your stay are crucial for the most accurate offer as it derives all the online information on pricing and availability of Saint-Rémy-lès-Chevreuse accommodation. Then you can book the selected Saint-Rémy-lès-Chevreuse lodging (hotels, apartments etc.) immediately. Offering a restaurant, Au Bord du Lac offers hotel accommodation and is located in Saint-Rémy-lès-Chevreuse. You can relax with a drink from the bar while enjoying the lake views. Set in the heart of Chevreuse Valley, this residence is 13 km from the Chateau de Versailles. The modern apartments, rooms and suites overlook the village. An 18th-century country house set in a 2-hectare garden on an active farm, La Ferme d'Armenon is just 30 km from Paris and borders the Chevreuse Valley. From the shared lounges, guests can access directly the garden and countryside. Located in Gif-sur-Yvette, Hotel Le Village offers modern accommodation, just 400 metres from Gif-sur-Yvette RER Station. You can visit the Château de Breteuil, which is just 6 km away. Zentral Studio is a self-catering studio located at the centre of Gif-sur-Yvette, just 100 metres from Gif-sur-Yvette RER Train Station. It has free, secure parking and is and a 5-minute drive from Saint-Aubin Golf Club. Les Chevaliers des Balances provides accommodation in Saint-Aubin. Boasting a concierge service, this property also provides guests with a terrace. Located in the Haute Vallée de Chevreuse Natural Regional Park, Relais Saint Laurent offers individually decorated rooms with free Wi-Fi access. The 18th- century property features a private park and is just a 40-minute drive from central Paris. Situated in Chevreuse, Les pierres de Chevreuse offers a garden. Free WiFi is available.